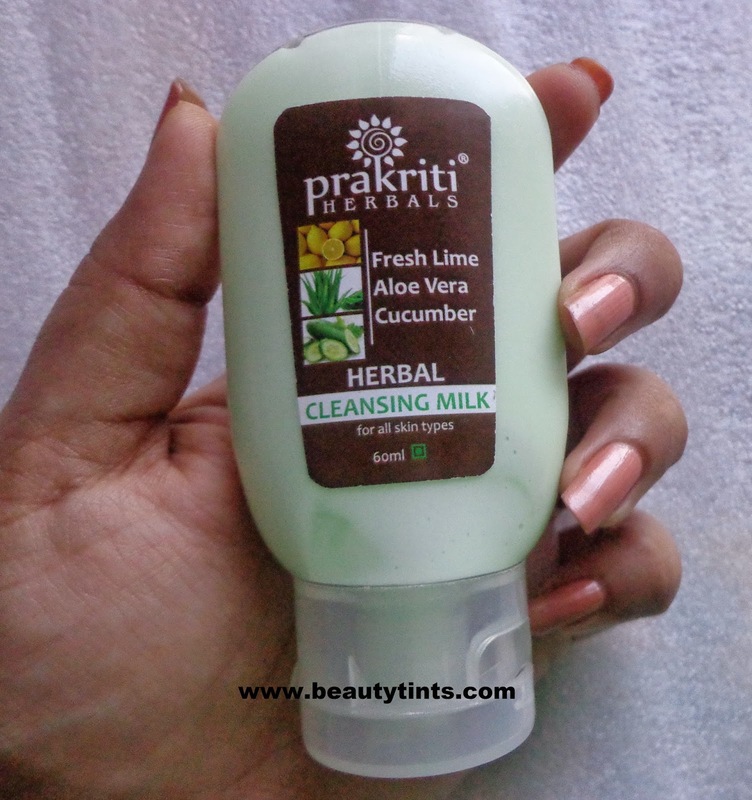 Sriz Beauty Blog: Prakriti Herbals Herbal Cleansing Milk Review!!! 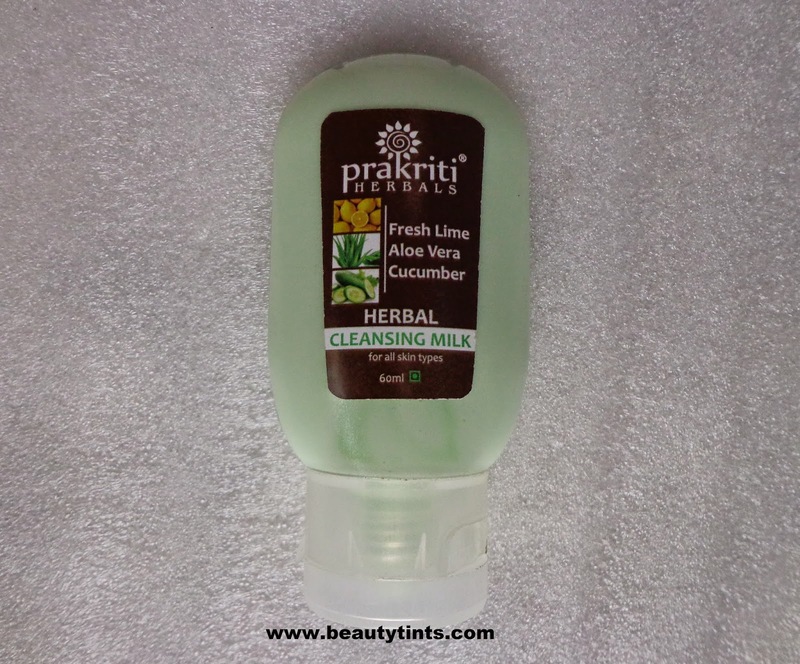 Today I am reviewing Prakriti Herbals Herbal Cleansing Milk,which is enriched with Fresh lime,Aloevera and cucumber and is meant for all skin types. 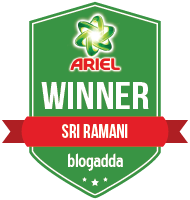 What the Brand Says: At Prakriti Herbals, We believe in the Vedanta philosophy, which emphasizes that nature has always provided an abundance of plants, roots, flowers and herbs rich in vitamins, enzymes, proteins and minerals that have been used in body and skin-care from time immemorial. “Prakriti Herbals” was borne out of this commitment to serve humanity through the genius of Ayurveda.Founded in 1995, the brainchild of Ms. Neeta Adappa (M Pharm), "Ayurglow" is a veritable treasure trove of natural herbal cosmetics. Each and every product of Prakriti Herbals is an outcome of painstakingly researched herbal formulation of Ayurvedic medicine used through centuries and contains an optimum synergistic combination of extracts of various proven herbs, designed to have a remarkable effect on the face, body and hair naturally. “Prakriti Herbals” is a name synonymous with nature and goodness of Ayurveda. It is one of the leading manufacturers and suppliers of optimum quality herbal products to the personal care industry and tailor made housekeeping items to various 4 and 5 star hotels, serviced apartments all over the world .We at Prakriti Herbals are committed to the highest standards of products and services. 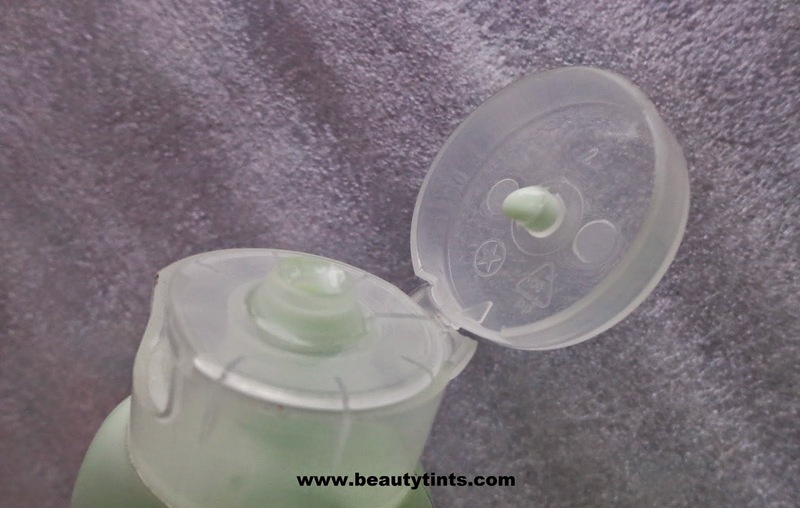 Packaging :The cleansing milk comes in a transparent tube packaging with a flip cap along with labels on either sides with all the required information printed on them. 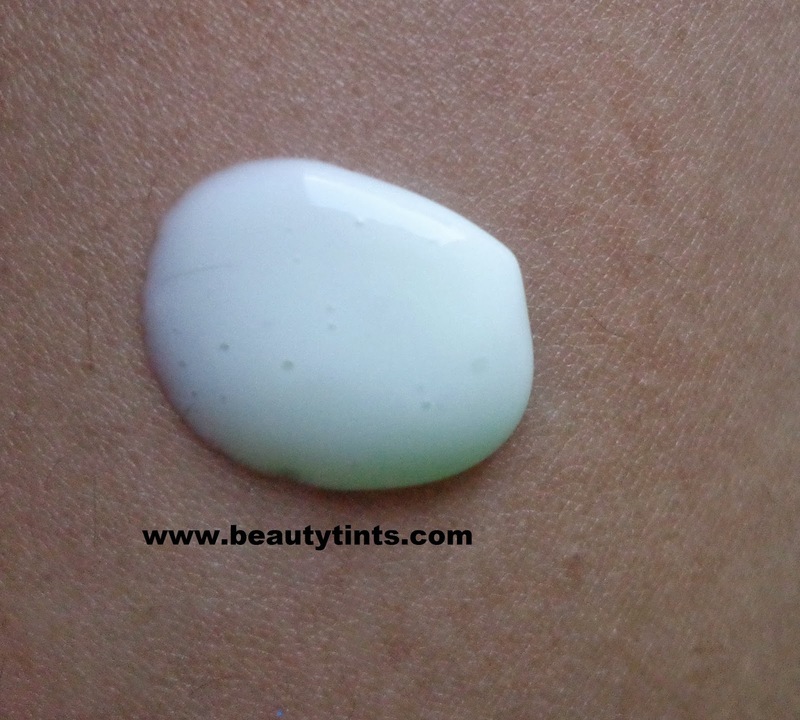 Color and Texture : This is a pale green colored cleansing milk. Directions for use : Apply Cleansing milk with a circular motion on face & neck.Wipe off with a moist cotton swab.Rinse off with water and pat dry. Blended with purifying herbal extracts of aloe vera , cucumber and lemon oil, it gently removes makeup and even kajal and eyeliner effectively purifying your skin naturally . It cleanses while replenishing your skin's natural moisture levels, refreshing and hydrating it. Suits all types of skin &safe for sensitive skin. Availability : Available from their website.You can buy it here. 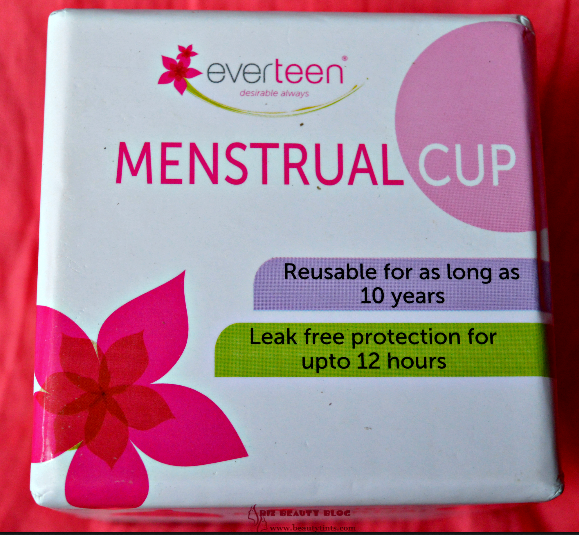 And if you are from Bangalore like me,you can buy it from Green Life Organics,Jaya Nagar. Naturally Pampering Ingredients : Lemon Oil,Aloe vera juice,Cucumber extracts,thickeners,Food colors,Food grade,Preservatives,purified water. 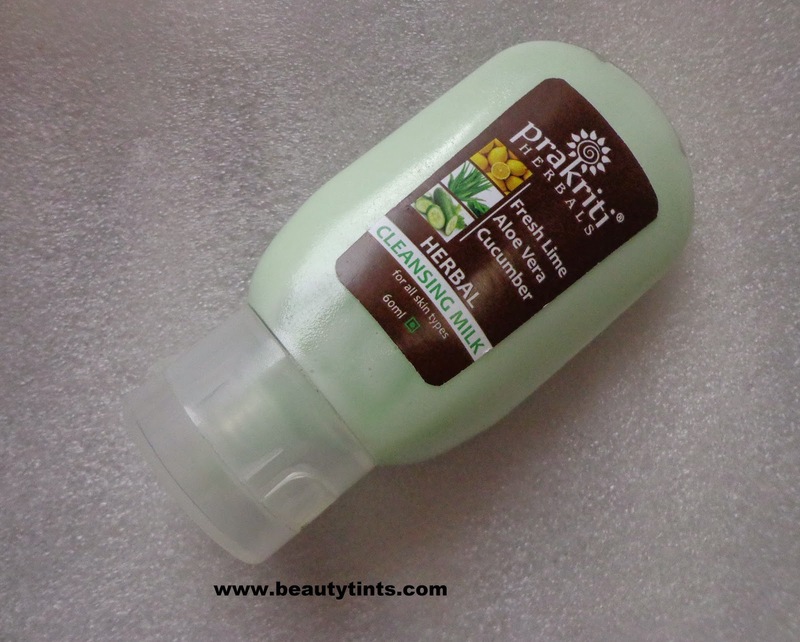 My View On the Product : This is a pale green colored cleansing milk which has a medium consistency with a mild aloe vera and cucumber mixed fragrance and smells absolutely organic.It cleanses the skin thoroughly from deep with in making it visibly clean and radiant.It is very gentle on the skin and does not irritate it.It neither dries out nor give a stretchy kind of feel post usage.It is made from nourishing organic ingredients like Lemon oil,Aloe vera juice,Cucumber extracts.It does help in removing normal make up to a great extent and water proof make up to some extent.I loved using it for removing kajal.It gives a nice glow to the face too. It contains food grade preservatives which are far better than the harmful Parabens.It gives a nice cooling sensation to the skin,good for summers.It suits all skin types including sensitive skin.It gets rinsed off easily with out leaving residues or greasy layer behind,which many other cleansing milks do.It is a bit expensive but worthy! 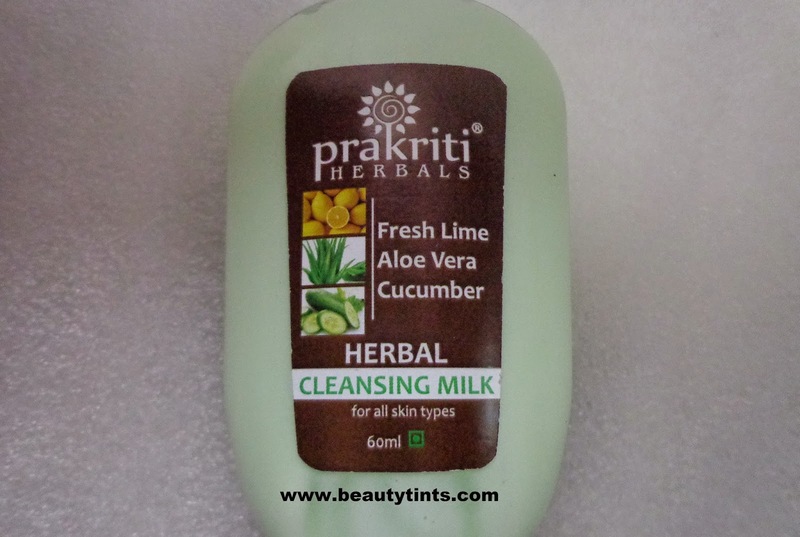 Final Conclusion about Prakriti Herbals Herbal Cleansing Milk : Overall,a good cleansing milk with the goodness of aloe vera,lemon oil and cucumber,which cleanses the skin thoroughly with out drying out the skin!! !